The 1st generation iPad didn’t support on-screen recording at all and it still doesn’t today. The good news is that the 2nd generation iPad, iPhone 4S and any newer iOS devices can. There are a few ways of capturing on-screen video for your iOS device, but I’m going to just go over one method. They’re all basically done in the same manner, it just varies on what applications you use to mirror the devices screen and which application you use to capture the video. I used AirServer which offers a free 7 day trial, so feel free to download the trial at www.airserver.com‎ and follow along. Before your iOS device will even give you the option to turn AirPlay on, you’ll need to have a device like AppleTV or a application like AirServer running on your network. If you don’t have one running, your iOS device will not give you the option to turn AirPlay on. Once the application is running you can move to step two. 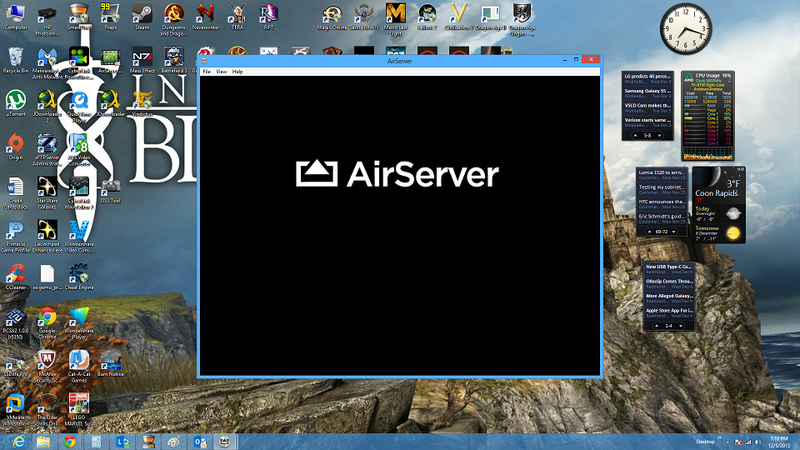 Also, in case any of you are wondering, AirServer is available for both Windows and OS X operating systems. To turn on AirPlay on your iPhone or iPad you’ll need to have a application like AirServer or AppleTV running for the AirPlay option to appear. To get to the AirPlay option, reveal the multi-tasking bar by either swiping 4-5 fingers up from the bottom of the screen or by pressing the home button twice in quick succession. 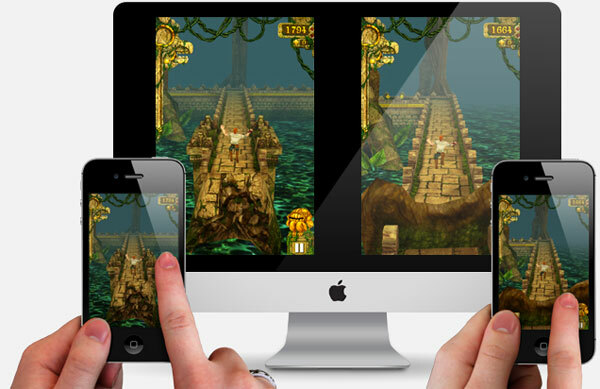 From the multi-tasking bar you’ll need to swipe the bar to the right until you reach the device’s play controls. Tap on the AirPlay icon as shown in the picture below, then select the device you’ll be mirroring the image to and switch Mirroring on. Now comes the actual capturing video from the iOS device. Once you broadcast your iOS device to AirServer you’ll be able to use any on-screen capturing software for your PC or Mac to record the live feed coming into AirServer. There are plenty of choices for on-screen video capturing on both PC and Mac. I used an application called SmartPixel which offers a free version available to download for Windows, if you’re using a Mac you can use QuickTime to capture on-screen activity, which comes built into the operating system. Start the recording on your chosen screen capture application, stop recording, and congratulations on successfully recording video from your iOS device without the use of a camera. If you’re looking to add a more professional feel to your video by adding indicators of where you’re tapping on the screen, you can do this by using video editing software or use a jailbreak app like DisplayOut which offers that exact feature without the need for additional editing. These options listed above are not without their faults. AirServer tends to lag occasionaly, which isn’t a huge deal if you’re planning to edit the video, but could become problematic for anyone trying to create a clean professional looking video. The software you use to capture the video on your PC and Mac will also vary in image quality and FPS. If you’re looking for a way to capture perfect quality video, you’ll have to invest in purchasing a video out adapter for your iPad and in a decent screen capture application. I did run into some issues with AirServer not staying on when I put the iOS device in standby mode and often times I’d have to close out of the application and re-open it to have the feed from the device show back up. If you’re not a fan of AirServer, there is another application called Reflector that is also available for Windows and Mac and is only $12.99 versus AirServer which costs $14.99. The nice part about these kinds of applications is that they offer free trials, meaning you’re able to download and try them out at no risk. Overall I felt like AirServer did a fairly good job at mirroring the device to my computer, especially considering the cost. If you’re serious about making high quality videos try to go with a direct adapter, otherwise this should work well for making YouTube guides, reviews, or whatever else you’re looking to share with the world.